Nwamaka Agbo is excited to bring over 10 years of experience in working on social and economic justice issues and campaigns that help support the sustainable and equitable development of thriving and prosperous communities as the Innovation Fellow for the Movement Strategy Center. As the Director of Programs at EcoDistricts, Nwamaka was responsible for leading Target Cities – a pilot program designed to support 11 innovative neighborhoods in 9 cities across North America in applying the EcoDistricts Global Protocol to help accelerate and achieve their district-scale sustainability goals. As the Director of Programs at Transform Finance, Nwamaka helped to design and launch the inaugural Transform Finance Institute for Social Justice leaders. The Institute was created to educate and train social justice community leaders about how to best leverage impact investments to deepen their social impact for transformative social change. Nwamaka worked at the Ella Baker Center for Human Rights for over six years in a range of positions spanning from Policy Director, to Campaign Director and Deputy Director. 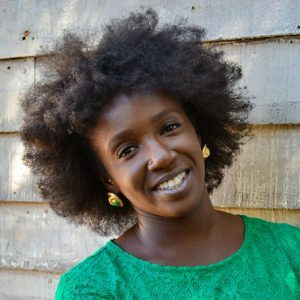 During her tenure at the Ella Baker Center, Nwamaka helped to support the launch of the Oakland Green Jobs Corp and later went on to develop the organization’s Oakland-based Soul of the City civic engagement campaign. She currently serves as an Advisory Board Member to Oakland Rising Action and a Board Member of People’s Grocery. Nwamaka is also honored to support the work of Roots of Success as an Advisory Board Member and Wellstone Action as a Trainer. She graduated from UC Davis with a Bachelor’s degree in Sociology and African American Studies and holds a Master’s of Public Administration specializing in Financial Management from San Francisco State University.